With a refreshing Raul Ramirez Bodegas y Viñedos Rosé on hand, I decided to put together a Wild Greens Crostata to see how the wine and dish play together. I took a crostata pastry recipe I've been using for years and simply modified the filling. The wine and dish paired beautifully! 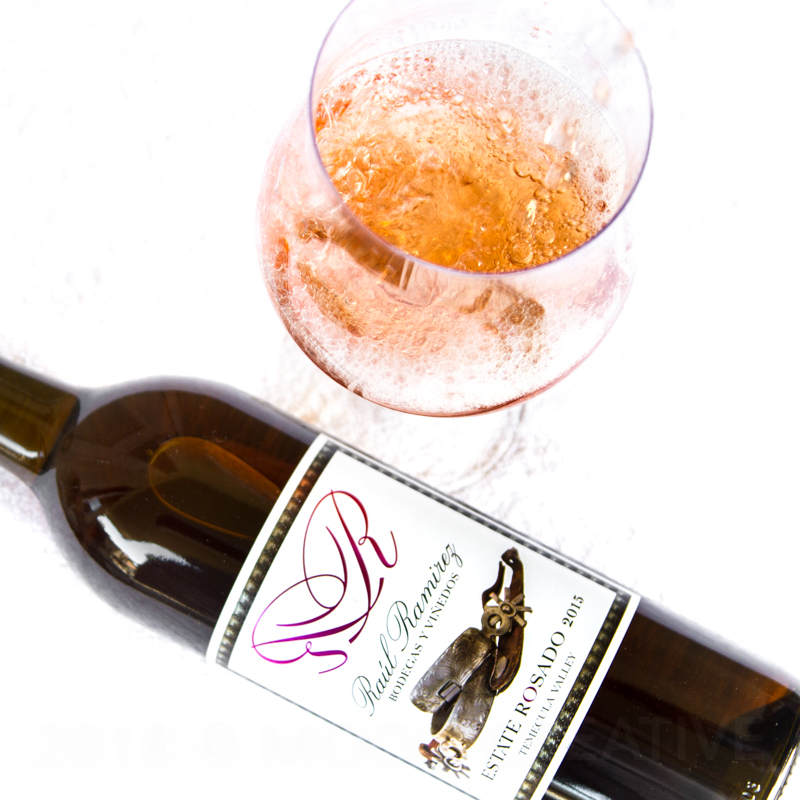 The crisp clean rosé with elements of candied tangerines and the spicy harissa in the crostata created a wonderful balance of the bright lively rosé refreshing your palate for the next spicy bite of crostata. Let's get the crostata going. Stir the sour cream and water together, set aside. Mix dry ingredients together in large bowl. Add the butter pieces to the flour mixture and cut the butter into the flour until the butter is the size of tiny peas. Sprinkle the sour cream mixture over the bowl, toss with your fingers to distribute and gently shape into a ball. DO NOT KNEAD! Wrap in plastic and chill for two hours or until ready to bake. Heat butter in sauté pan to medium. Add onions and shallots and sauté until starting to turn opaque, add baby bells and continue sauteing until peppers start to soften. 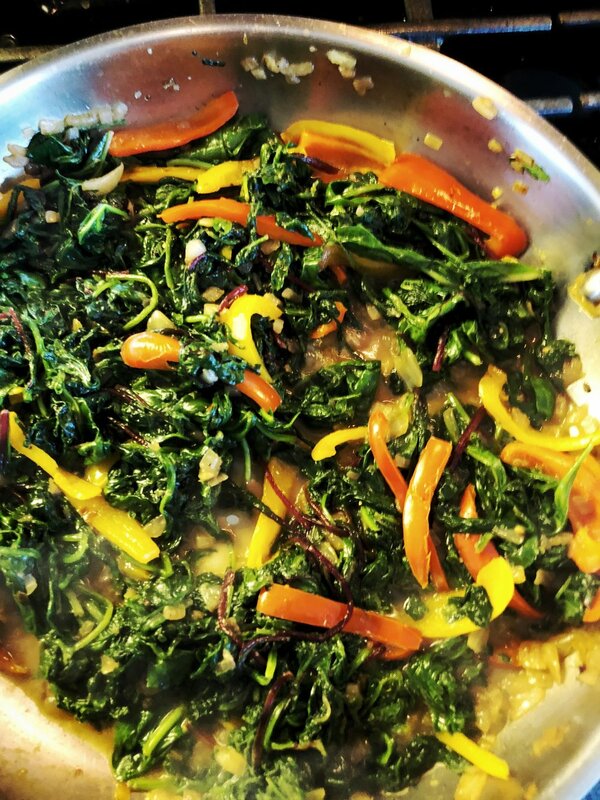 Begin adding greens one handful at a time, as they wilt, add more until all the greens are wilted, remove from heat and adjust seasoning with salt and pepper. 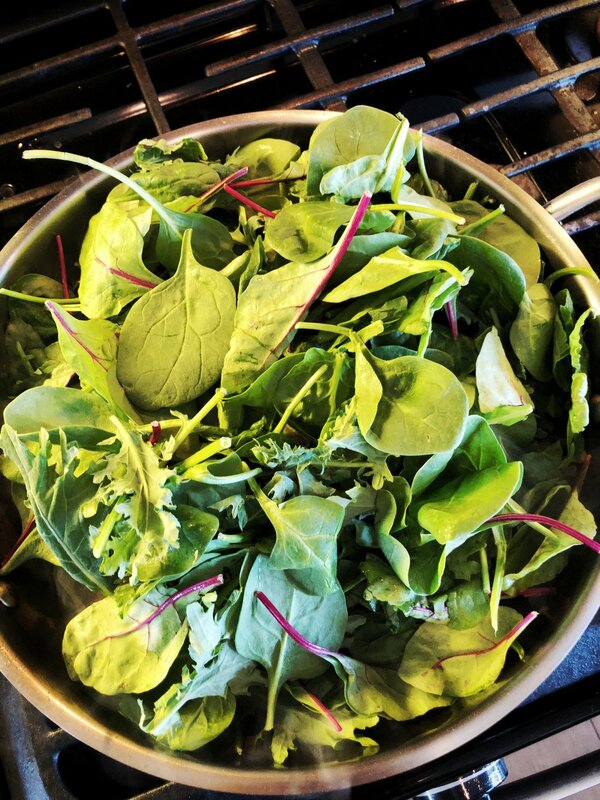 NOTE: It may seem that there are too many greens, but they wilt way down in volume once they hit the hot pan. While greens are cooling, mix 4 eggs with the yogurt. Once mixed, stir in the feta cheese. Mix egg and yogurt mixture with the greens. Preheat oven to 375°. Remove pastry from plastic wrap and roll out on floured rolling surface. When rolled out to about 14 inches in diameter, place pastry on baking stone or pan and arrange greens mixture on surface of pastry. Make sure to leave about 1 inch edge of the pastry uncovered for folding over as a lip. When finished spooning the greens onto the pastry, fold the edges of the pastry up over the edge forming a narrow lip around the perimeter of the Crostata. Bake for about 20 minutes or until pastry edges are golden and crisp. Remove from oven and allow to cool before serving. I served this with a fried egg on top of the crostata and a simple side of blackberries, tangerines, and Greek yogurt drizzled with honey. And now about the wine. I gladly give this lovely wine 91 pts. Rosé wines have FINALLY found true respect in the American wine culture after years of being perceived as sweet and syrupy. This is a wonderful dry rosé of Tempranillo. It offers a largely citrus focused fruit profile, with lovely elements of tangerine marmalade and alluring burnt sugar in the mid-palate. This is a bright, lively wine that loves to play with spicier foods. The bright citrus notes make this a perfect match for the spicy harissa used in the crostata. At $18.00 a bottle, you won't find a better hand-crafted value for your summer rosé sipping.